The cost of promotional printing can sometimes be high when you are on a limited budget, so how can you save money on custom printed t-shirts to promote your business? When you order custom printed shirts for silkscreen printing, physical screens for printing need to be made, and that is incorporated into the price of the shirts. By ordering more shirts, you can always get a much better deal. The more you print, the better the price. this is why quantity matters. You can see that even changing your quantity slightly results in a much lower price. This is why quantity is the number one variable to consider when you are trying to save money on printing. Variable number two would be the brand you choose. For instance, American Apparel is a very popular brand. It also costs twice as much as Hanes, Gildan, or Fruit of the Loom. Is it worth more? That really depends on personal taste. 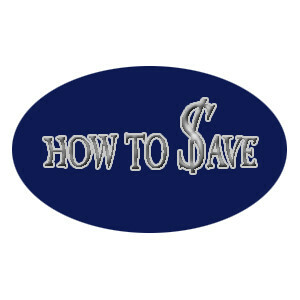 By choosing a basic brand, rather than a premium brand, you can save 50% or more. The third variable that affects pricing is the style of shirt. Obviously, a long sleeved shirt will cost more than a short sleeved shirt. Anything that is not “standard” will cost more. Anything that is not the most basic type of shirt will cost more. That’s why short sleeve t-shirts are always the lowest cost option. Also consider, in almost all cases, white shirts will always cost less than colored shirts. Even choosing a white shirt over the same colored shirt will save you 40% on the cost of the shirt itself. Again, this can save you 40-75% or more. The fourth variable is how many locations on the shirt do you want to print? Do you want to print just the front? Or do you want to print the front and back? Or the front, back, and both sleeves? Or just one sleeve? All of these options will affect the price. The more locations you print on the garment, the more expensive the price will be. Conversely, a single location on the shirt will be least expensive. 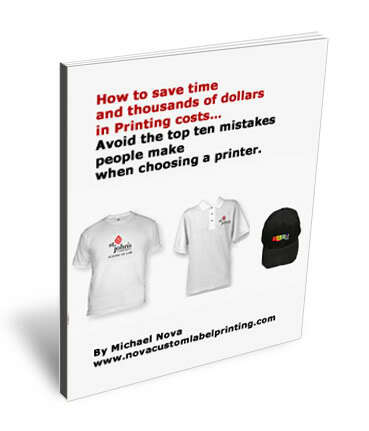 Depending on how many locations you print, this can save you between 10 – 50% of your budget. The fifth variable is that the number of colors printed on your shirt will affect the price as well. If you are looking to save money, less colors equals less cost. Choosing a nice, well-balanced t-shirt design in one color will achieve better results than a poor design with many colors. Also keep in mind that when printing on dark colors, a white under base needs to be laid down first to make light colors stand out on a dark shirt, which means you are paying for an extra color of ink. With all the possibilities here, we are talking about a 10 to 20% savings for one versus two color, and a 75% savings when going down from six colors to one color. Why Order More T-Shirts Than Needed? But simpler than anything, as we led off with, the quantity will make the biggest difference. So what if you only need a few shirts? Why would you want to order more than you need? This is a question that you can only answer for yourself. If there is a possibility for you to use extra shirts, then it will be more than worth the extra expense, as illustrated above. If however, you have no need for extra shirts, there really is no reason to get a higher quantity, regardless of the savings. Interestingly enough, as I am writing this article, I just got a call from a client where they had a specific budget that they wanted to stay within, but in order to stay within that budget, they had to lose 25% of the quantity. In other words, the quantity they wanted was $60 over their budget. When weighing the numbers, it became a ridiculous proposition to sacrifice 25% of the quantity that they wanted in order to save $60. They elected to go with the quantity they wanted for the extra $60. This is a perfect example of what I’m talking about. Honestly, I did not do any kind of hard sell here. We just compared the two quantities versus prices together and it became a no-brainer for both of us to see. Bottom line, we’ve shown you how the price goes down with quantity, so if you can stretch your budget to accommodate a higher quantity, it’s always best to do so. Once the set up is created, the unit price goes down as the quantity goes up. The reason is that it is less expensive for any printer to set up and print a higher quantity of any single design than it is to set up and print a smaller quantity of a single design. If there is one piece of advice I can give you regarding printing, it is never order the minimum quantity, because that will cost you more than anything. Be smart and go for higher quantities, and you can save your budget over 75% or more.